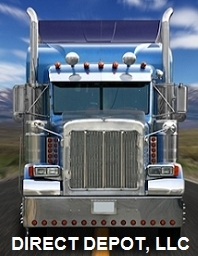 Direct Depot, LLC offers trucking products and automotive products for the trucking industry. We also specializes in 12-volt power inverters and have a wide selection of power inverters available for travel or home use. We are an authorized distributor of DAS RoadPro's trucking products, Power Bright 12-volt Power Inverters, Xantrex 12-volt Power Inverters, and PowerDrive 12-volt Power Inverters. Our trucking products, auto products, 12-volt power inverters, and mobile electronics bring the comforts of home to the road for professional drivers and travelers. Direct Depot, LLC first opened in 2006 in the state of North Carolina. 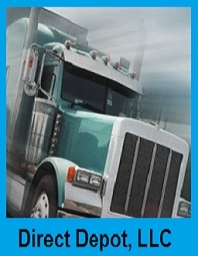 We are an online electronics company that supplies power inverters, 12 volt mobile electronics, CB Radios, and CB antennas to professional drivers in the trucking industry. We are an authorized distributor of DAS RoadPro's trucking products, Power Bright 12-volt Power Inverters, Xantrex 12-volt Power Inverters, and PowerDrive 12-volt Power Inverters.